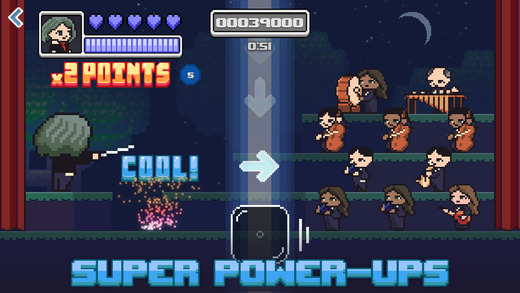 Home Action Epic Orchestra – You can’t beat the satisfaction of leading an orchestra! 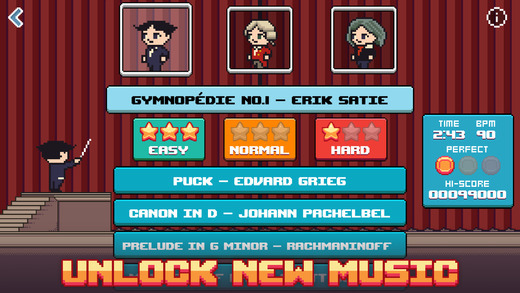 Epic Orchestra – You can’t beat the satisfaction of leading an orchestra! 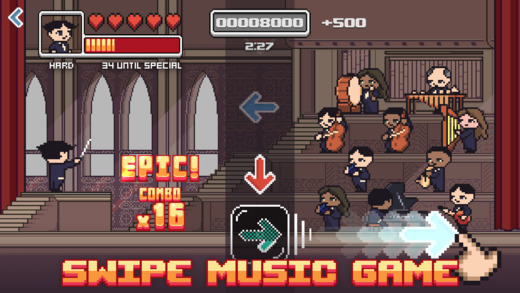 Epic Orchestra is a game with a name that pretty much explains itself. 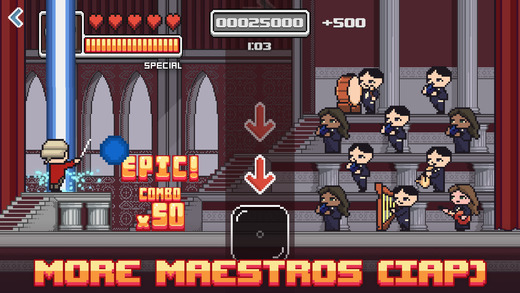 Based on a number of famous classical works of music, your mission in this game is to lead an orchestra by rhythmically swiping left, right, up, or down, in time to a number of falling arrows that slowly glide down your screen throughout the course of the song. 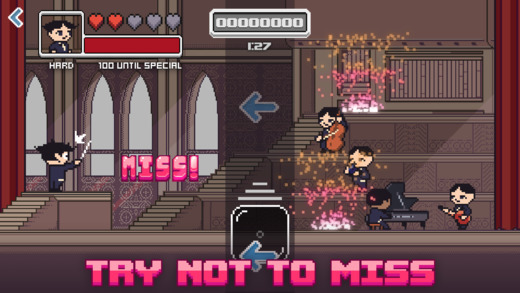 With nice pixel graphics, awesome music (a bit of a given), and a simple gameplay system, there isn’t much more you could want from a simple game like this.